You have received a 2 page fax at 11/29/2016 5:01:13 PM. * The reference number for this fax is syd1_did12-5405183509-083357256-5. 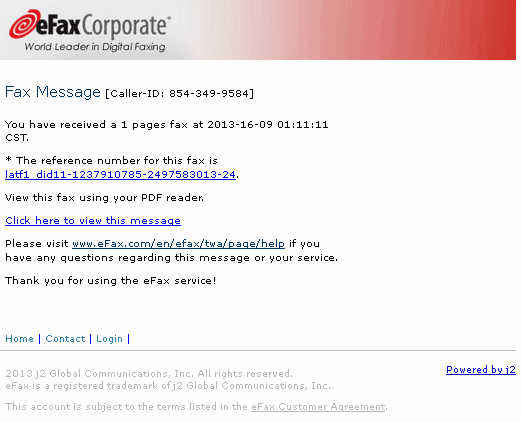 Click here to view this fax message. © 2012 j2 Global Communications, Inc. All rights reserved. It seems to belong to a legitimate company, but maybe one that has suffered an Office 365 compromise. You have received a 1 page fax at 2015-10-28 08:57:17 GMT. * The reference number for this fax is lon1_did14-1445421403-1407880525-89. View this fax using your Microsoft Word. 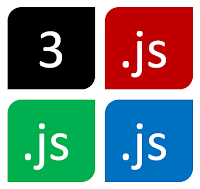 © 2013 j2 Global, Inc. All rights reserved. eFax® is a registered trademark of j2 Global, Inc. The attachment FAX_20151028_1445421437_89.doc is the same as used in this spam run and the payload is the Dridex banking trojan. You have received a 1 page fax at Fri, 17 Jul 2015 15:12:25 +0530. * The reference number for this fax is atl_did1-1400166434-67874083637-154. This IP is allocated to C2NET in the Czech Republic. The malware also attempts to enumerate the IP address of the target by accessing checkip.dyndns.org which is a legitimate service. 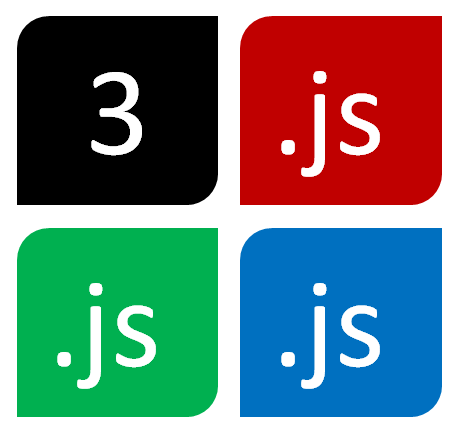 It is worth looking for traffic to that domain because it is a good indicator of compromise. Among other things, the malware drops a file XGwdKLWhYBDqWBb.exe [VT 10/55] and vastuvut.exe [VT 6/55]. Hang on, I think I need to load some more papyrus into the facsimile machine, the 1990s are back! It also drops a file EXE1.EXE onto the target system which has a detection rate of 7/55. You can see the Malwr report for that here. You have received a 1 page fax at 2014-10-17 09:34:48 GMT. * The reference number for this fax is lon2_did11-4056638710-9363579926-02. Please visit https://www.efax.co.uk/myaccount/message/lon2_did11-4056638710-9363579926-02 to view this message in full. 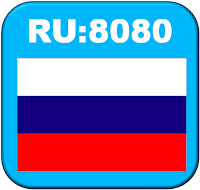 The telephone number seems to very but is always in the 0208616xxxx format. Then (if your user agent and referrer are correct) it goes to a fake eFax page at http://206.253.165.76:8080/ord/ef.html which does look pretty convincing. (Incidentally if the UA or referrer are not right you seem to get dumped on a pills site of naturaldietpills4u.com). The download link goes to http://206.253.165.76:8080/ord/FAX_20141008_1412786088_26.zip which is a ZIP file containing a malicious executable FAX_20141008_1412786088_26.exe which has a VirusTotal detection rate of 4/54. If you are a sysadmin then you might recognise this as being the "Active Directory Users and Computers" admin tool. So, are the bad guys probing for sysadmins? Another tired old spam template leading to malware..
You have received a 4 pages fax at 2014-07-25 13:24:21 GMT. * The reference number for this fax is latf1_did11-1187609582-1911573644-58. 2014 j2 Global Communications, Inc. All rights reserved. In this case the link in the email goes to verzaoficial.com/css/fax_390392029_072514.exe which downloads a file with a VirusTotal detection rate of just 1/45. Automated analysis [pdf] is fairly inconclusive as to what it does. This binary has a VirusTotal detection rate of 6/53 and the Malwr report shows that it downloads a file from soleilberbere.com/images/2905UKdw.tar which subsequently drops a file eucis.exe with a VirusTotal detection rate of just 3/51. Automated reports   are pretty inconclusive as to what this does. This fake eFax message downloads malicious content from a Dropbox link. You have received a 1 page fax at Wed, 28 May 2014 09:11:44 GMT. * The reference number for this fax is atl_did1-1400166434-95058563842-154. The telephone number will vary from spam-to-spam, but the download link seems consistent and is [donotclick]dl.dropboxusercontent.com/s/uk0mlaixvbg52g2/Fax_938_391102933_1245561.zip?dl=1&token_hash=AAEUA5cH_mfvkp4l4CePv7t100XZKo4GBq6ZxY1UiElKyQ&expiry=1401269894 which leads to a ZIP file Fax_938_391102933_1245561.zip which unzips to a malicious executable Fax_938_391102933_1245561.scr. This last one makes a connection to innogate.co.kr for unknown reasons. 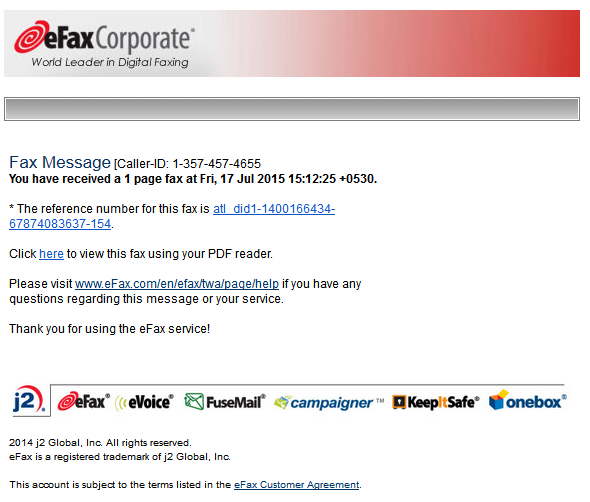 Oh my, do people really fall for this "Corporate eFax message" spam? Apparently people do because the spammers keep sending it out. Attached to the message is a file FAX_10302013_1013.zip which in turn contains FAX_10302013_1013.exe (although the date is encoded into the filename so your version may be different) which has an icon that makes it look like a PDF file. This has a very low detection rate at VirusTotal of just 1/46. 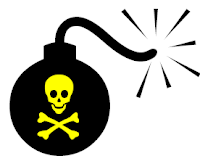 Automated analysis tools    show an attempted connection to a domain bulkbacklinks.com on 69.26.171.187. This is part of the same compromised Xeex address range as seen here and here. Xeex have not responded to notifications of a problem (apart from an AutoNACK). I recommend that you treat the entire 69.26.171.176/28 range as being malicious and you should block according to this list. You have received a 40 pages fax at Wed, 3 Apr 2013 02:11:58 +0600, (708)-009-8464. * The reference number for this fax is [eFAX-698329221]. eFax Ž is a registered trademark of j2 Global Communications, Inc. This account is subject to the terms listed in the eFax Ž Customer Agreement. You have received a 59 pages fax at Tue, 26 Mar 2013 06:23:36 +0800, (954)-363-5285. * The reference number for this fax is [eFAX-677484317]. eFax ® is a registered trademark of j2 Global Communications, Inc. 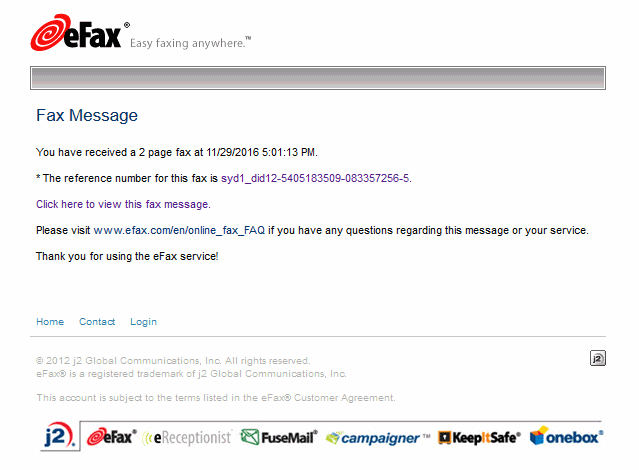 This account is subject to the terms listed in the eFax ® Customer Agreement. You have received a 57 pages fax at Mon, 4 Mar 2013 08:53:20 +0300, (213)-406-0113. * The reference number for this fax is [eFAX-336705661]. You have received a 29 pages fax at Thu, 21 Feb 2013 -05:24:35 -0800, (913)-809-4198. * The reference number for this fax is [eFAX-806896385]. You have received a 50 page(-s) fax at Thu, 11 Oct 2012 07:58:06 -0400. * The reference number for this fax is [2EA33CF]. 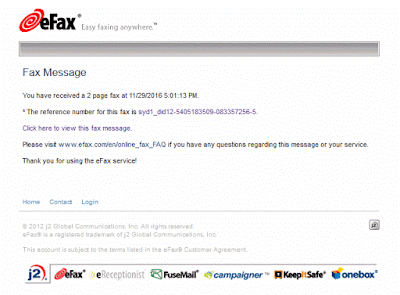 Please visit www.efaxcorporate.com/corp/twa/page/customerSupport if you have any questions regarding this message or your service. You may also e-mail our corporate support department at corporatesupport@mail.efax.com. © 2012 j2 Global, Inc. All rights reserved. 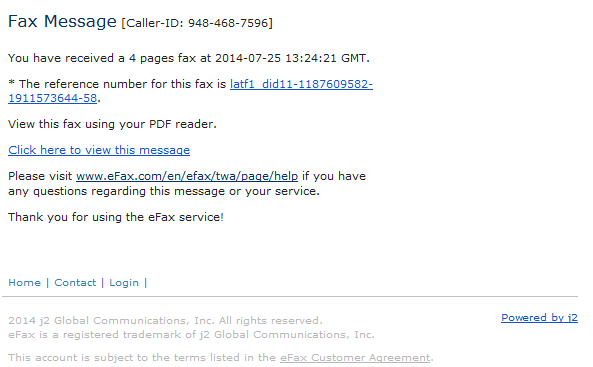 eFax Corporate is a registered trademark of j2 Global, Inc. 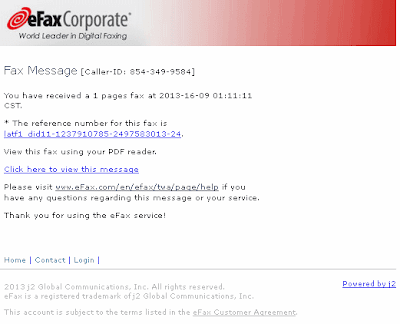 This account is subject to the terms listed in the eFax Corporate Customer Agreement. You have received a 34 page(-s) fax at Thu, 11 Oct 2012 13:50:54 +0200. 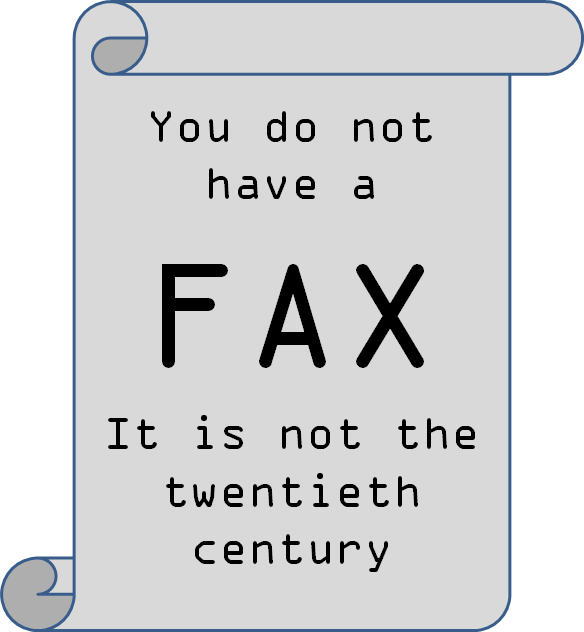 * The reference number for this fax is [97ECE658]. One leads to a malicious landing page at [donotclick]173.255.223.77/links/assure_numb_engineers.php hosted by Linode in the US. You have received a 09 pages fax at Thu, 04 Oct 2012 19:00:16 +0200. * The reference number for this fax is min1_20121004190016.8673161. � 2011 j2 Global Communications, Inc. All rights reserved. eFax� is a registered trademark of j2 Global Communications, Inc. 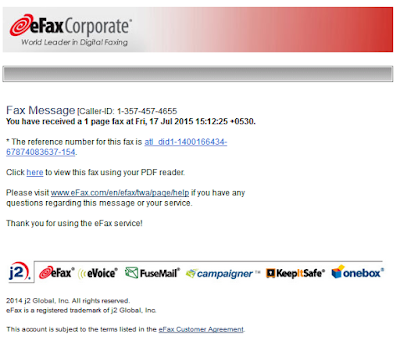 This account is subject to the terms listed in the eFax� Customer Agreement. It might be worth blocking 184.164.136.128/27 to be on the safe side. You have received a 8 pages fax at Wed, 03 Oct 2012 15:00:43 +0200. * The reference number for this fax is min1_20121003150043.438820. You have received a 1 pages fax at Wed, 03 Oct 2012 17:12:57 +0530. * The reference number for this fax is min1_20121003171257.5227. You have received a 7 pages fax at Wed, 03 Oct 2012 07:25:36 -0400. * The reference number for this fax is min1_20121003072536.6902337. The malicious payload is at [donotclick]69.194.194.222/links/assure_numb_engineers.php (Solar VPS, US). Blocking this IP address may be wise as they tend to be used in more than one campaign.